My future mother in law bought ‘a Change of Appetite’ by Diana Henry and decided it wasn’t for her. 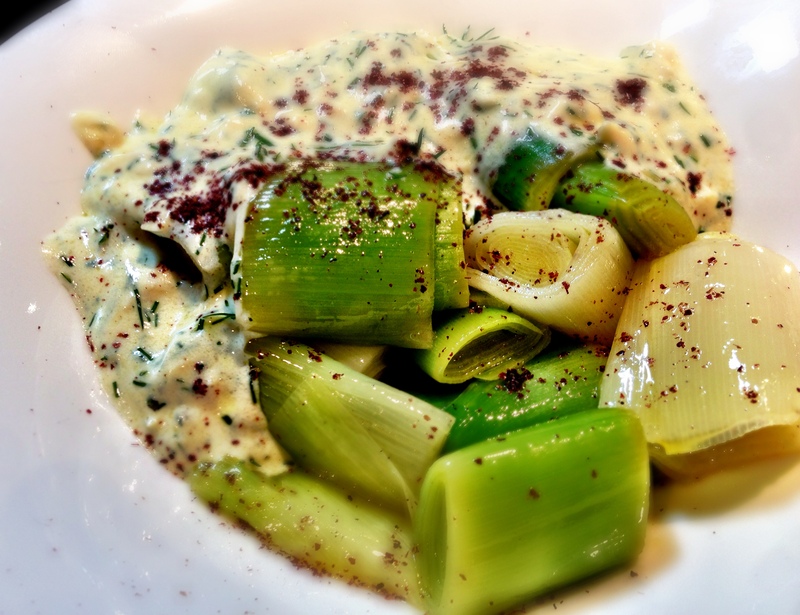 Basically you steam some leeks, make a yoghurt sauce (which also contains Dijon mustard and garlic) and dust it with Sumac. Personally I’d halve the garlic and the mustard. The leeks get a little lost otherwise. This entry was posted in a Change of Appetite, Diana Henry, Vegetarian, Want to make again by tenuoustoaster. Bookmark the permalink.